Oil and Natural Gas Corporation Limited (ONGC), a “Maharatna” Public Sector Enterprise is looking for young, promising and energetic aspirants with bright academic records to join the organization as Class I executive (at E1 level) in Engineering and Geo – Sciences disciplines through GATE 2019. 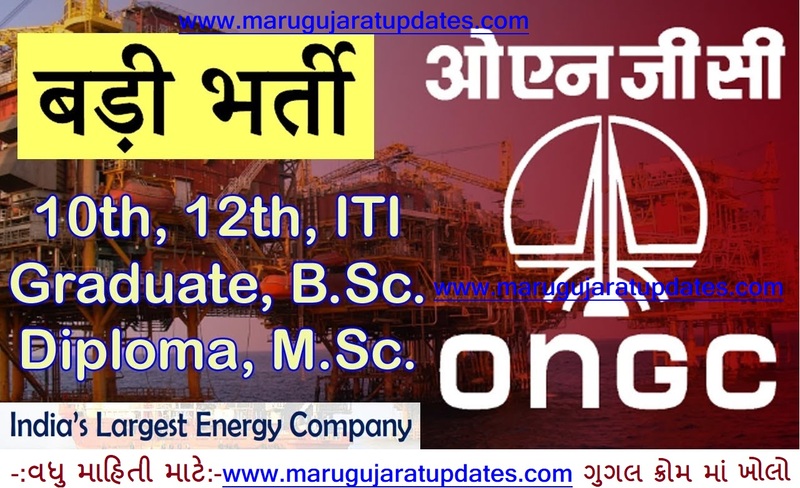 ONGC Recruitment 2019 for Executive Notification: Oil and Natural Gas Corporation Limited (ONGC) has invited applications for the post of Class I Executive (at E1 level) in Engineering and Geo – Sciences disciplines through GATE 2019. ONGC has notified more than 900 vacancies of Class I executive (at E1 level) for its various plants located across the country. The application process will be completely online and candidates will be required to pay application fee through online mode only. The candidates applying for the ONGC Executive Recruitment 2019, should possess essential educational qualifications. Detailed advertisement will be notified through ONGC Website, Newspapers and Employment news / Rojgar Samachar. Needless to say, career with ONGC is golden chance for youth as it is a “Maharatna” Public Sector Enterprise, the largest Crude Oil and Natural Gas Company in India which contributes around 70 per cent to Indian domestic production. ONGC is the biggest Indian Transnational Corporation operating on 41 projects in 20 countries especially in Exploration, Production, Refining, Petrochemicals; Gas based Power, Wind and Solar energy, Coal Bed Methane,LNG,Oil & Gas Logistics etc. The country’s biggest Transnational Corporation – ONGC has notified 785 vacancies for the post of Class I Executives (at E1 level) in Engineering and Geosciences disciplines.